It is impossible to keep up with all of the latest health news that actually matters. That’s why we created Natural Society, your source for useful organic living tips, news, and life hacks that can take your health to the next level. If you’re new here, we’re excited to introduce ourselves. 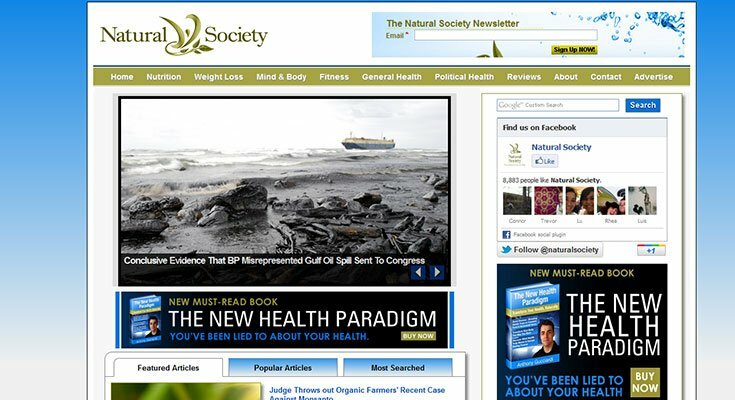 As a 100% independent media website made up of passionate writers and health advocates, Natural Society has consistently ranked among the top natural health websites in the world due to large readership numbers and highly shared content. 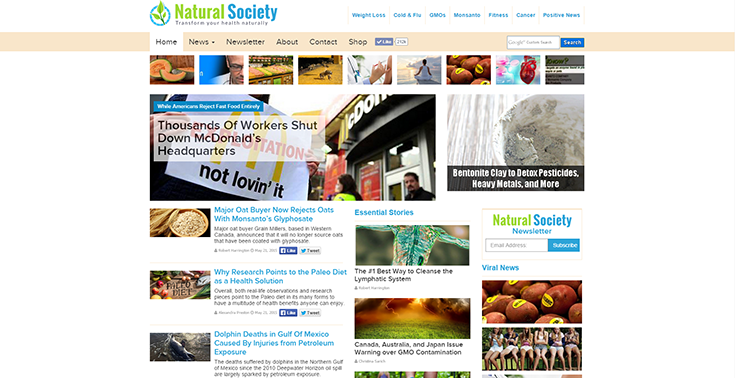 In fact, Natural Society quickly became host to one of the top 10 more shared stories in the world in 2011, less than a full year after its public launch. And now, in 2016, Natural Society is emerging once again as a leading resource for the most useful natural health content out there. Natural Society Co-Founder and Editor Mike Barrett is a longtime researcher and writer whose articles on the subject of natural health have been at the core of Natural Society’s social reachability and continued readership. As the current Editor of Natural Society, Mike continues to direct the focus of the platform towards the latest news and information that pertains to you and your family. With a particular passion for expanding on mental focus and attitude as a way to achieve not only optimum health but one’s goals, Mike has been sharing ways in which readers can utilize the power of their own minds in order to unlock their full potential. Anthony Gucciardi is a self-development and human empowerment speaker, writer, and entrepreneur whose writings have been featured on popular television programs, in best-selling USA Today/WSJ books, and top 500 websites. After overcoming Lyme Disease and nerve-based facial paralysis, Anthony became passionate about establishing a resource in which he could share his journey towards optimum health with the world. 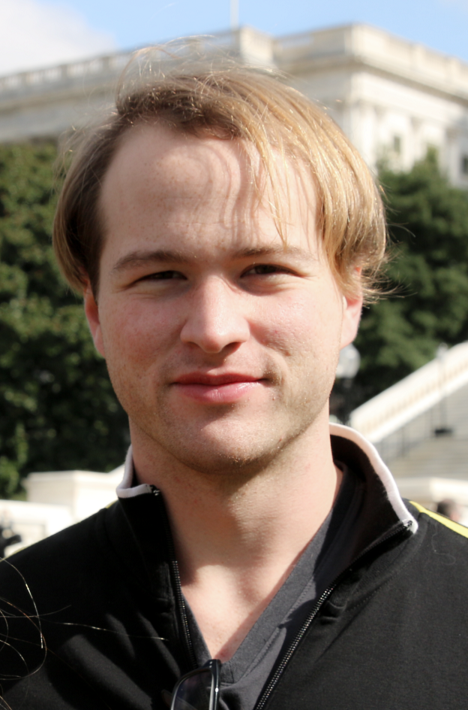 Anthony currently acts as an adviser and contributor to Natural Society, which he originally co-founded in 2010. With a focus on human optimization, organic lifestyle, self-development, life hacks, and entrepreneurial-based social good, Anthony currently reaches several million viewers through his highly prolific social media profiles and websites. In addition to his work as a speaker and writer, Anthony acts as a consultant and managing member to some of the largest social media and news syndication platforms in the world. Anthony’s writings, videos, and thoughts have been routinely featured on prominent websites and television programs, including Thom Hartmann, USA Today & Wall Street Journal Best-Selling Books, Simple Reminders, Drudge Report, RT, Infowars, Michael Savage, Daily Mail, Gaiam TV, and many others. Following Anthony Gucciardi’s victory over Lyme Disease using natural alternatives, Anthony and Co-Founder Mike Barrett decided to create a free online resource that would match “scientific research with natural solutions that actually work.” The result was a DIY website, painstakingly created entirely by Anthony and Mike for several hours a day. With frequent server attacks and traffic load taking down the website on a routine basis, many all-nighters and sleepless months were had. It wasn’t uncommon for Anthony to write upwards of 4 full-length articles a day, as Mike continued to repair the back-end code of the website to repel attackers and allow for website growth. The drive behind the two-man operation was nothing short of a passion to spread the word, and a big idea of how Natural Society could someday reach millions of visitors in a very personal and real way. Fresh into our initial launch, we knew that we had to inform our growing readership about the growing presence of the Monsanto Company and their increasingly-popular genetically modified seeds. To many, it was still like speaking a foreign language when discussing Monsanto’s GMOs, but it was a challenge we were willing to take. Natural Society Co-Founder Anthony Gucciardi launched what would eventually become one of the most shared articles of 2011 on September 20th, having no idea that the inspirational writing would in fact top Facebook’s own list of 2011’s most viral content. 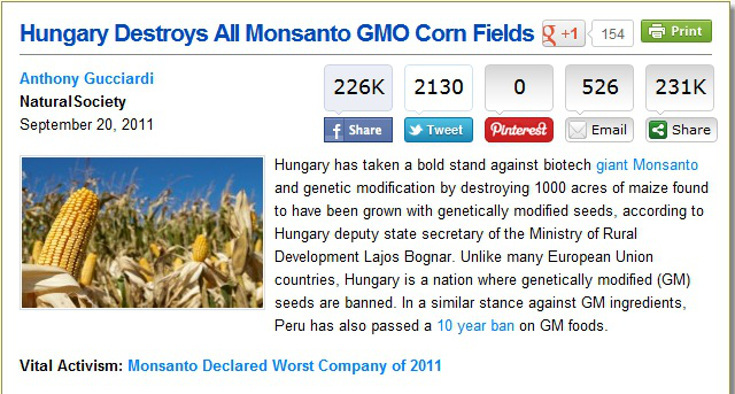 With the title “Hungary Destroys All Monsanto GMO Corn Fields,” Anthony’s piece quickly gained traction on social media as it was shared by some of the largest movers and shakers on the planet. At the peak of the story’s success, it had received more than 225,000 shares on Facebook alone, making it among the top 10 most shared pieces of 2011 by Facebook’s own records. In 2011, the fight for control of the food supply was heating up, and the word about Monsanto’s genetically modified creations were just gaining traction in a big way. 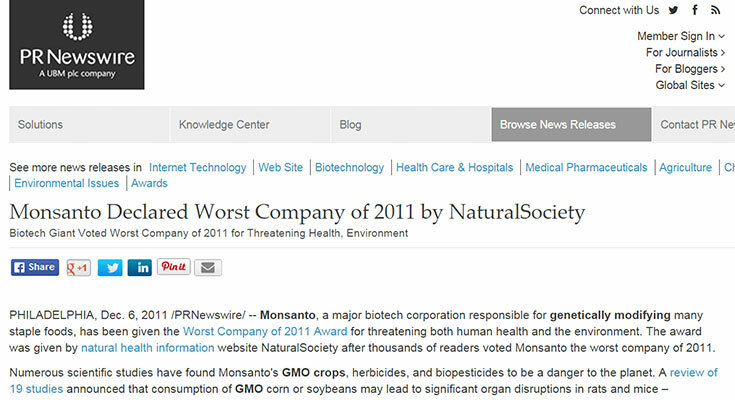 That’s when, in an international press release, we declared Monsanto to be the Worst Company of the Year: a declaration that was echoed throughout the alternative media and carried by a number of mainstream publications. The announcement was met with backlash by Monsanto supporters, but we knew that what we were doing was on the side of truth and reality. A firm belief system that ultimately led to several million supporters of our initiatives in exposing Monsanto, GMOs, and the company’s best-selling herbicide Roundup. Artificial additives, estrogen-mimicking chemicals, pharmaceuticals drugs in bottled water, and even GMOs — the definition of ‘healthy’ was forever changed. That’s why Natural Society Co-Founder Anthony Gucciardi spent more than a year doing the research on how to escape health pitfalls and rediscover what ‘healthy’ truly means in light of the modern day food supply’s chemical makeover. Appropriately titled “The New Health Paradigm,”Anthony wrote his first full length book. The New Health paradigm sold several thousand copies on its release day, and is now available for free in its updated 2015 edition when you sign up to the Natural Society Newsletter. On February 17, 2013, Natural Society was featured on the notorious Drudge Report – a news aggregate behemoth run by the well-known Matt Drudge. 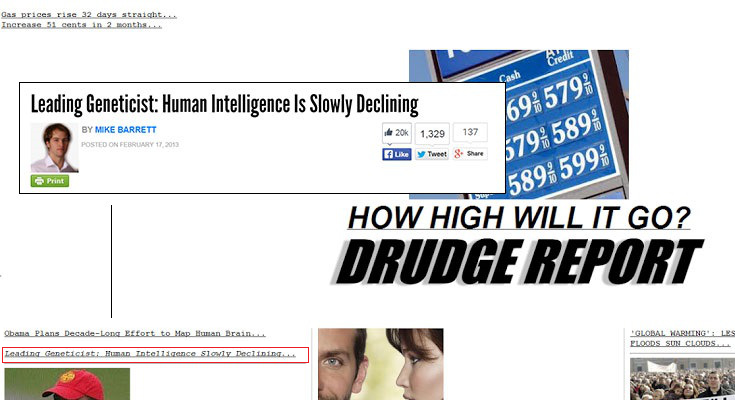 Landing on Drudge for the first time with a piece called “Leading Geneticist: Human Intelligence is Slowly Declining,” NS saw a surge in traffic that nearly crashed our server at the time – and definitely gave us an exciting breakthrough that we are happy to be reporting on today. A special thanks to Matt Drudge and Drudge Report for linking to our piece. Following our continued work on GMOs and natural health transformations, Natural Society reached its first 50,000 Facebook fans in March of 2013. Amid the booming of social media and the new ways in which we can use Facebook to spread the word to millions worldwide, this was an exciting and worthwhile achieved goal. After achieving 50,000 Facebook fans, Natural Society saw steady growth for months – only to reach a gratifying 100,000 Facebook fans in September! With a continued focus on what we call ‘real issues,’ we soon reached 85,000 Facebook fans. After breaking 90,000, however, Natural Society started to see a huge spike in followers – and our readers began really sharing our work. For months, we started receiving thousands of new fans every month – numbers like we have never seen before. During this time, our organic reach was phenomenal and posts were seen by a large percentage of our followers. This was the largest Facebook spike NS has seen to date. After reading a concerning news piece that detailed the numerous ways in which government ‘law enforcement’ was targeting church groups who handed out free turkeys to the homeless on Thanksgiving, Anthony decided to donate $1,000 and international publicity to the Acts 2 Worship Center — the organization penalized by law enforcement for feeding the homeless on Thanksgiving. In may of 2014, we finally reached 200,000 fans! Similar to reaching the 100,000 mark, hitting 200,000 fans was kind of a big deal for us. One of the most important personal aspects of reaching this many amazing readers is the realization that it was achieved while sticking to what we knew were important topics. Our ultimate goal of changing the world for the better by educating the public on the ways of natural, organic living had never waned. With the support of 200,000 independent-thinking fans, it was a major landmark in the timeline of Natural Society’s mission. Standing against what Anthony called ‘ridiculous’ regulatory protocols, Anthony publicly donated $2,000 to the Crazy Faith outreach and encouraged others to do the same. The donation, and the donations of his followers, helped feed thousands of individuals on the streets of Olympia, Washington. While we will never forget our roots as a website started by two activists with big dreams of helping millions transform their health, November of 2014 marked a key transition in Natural Society’s timeline. It was now time to fully launch the website into a new level, with a highly responsive and intuitive web design that would compete with the likes of mainstream media leaders and help our millions of readers better navigate the site. It’s something that’s always being updated, tweaked, and adjusted, but the November 2014 site redesign marked a huge step forward for Natural Society and its ability to change lives around the world. With the increased design credibility and the ultra-fast server speed, we could now provide awesome services like enhanced content navigation and even more interesting ways to spread the word. 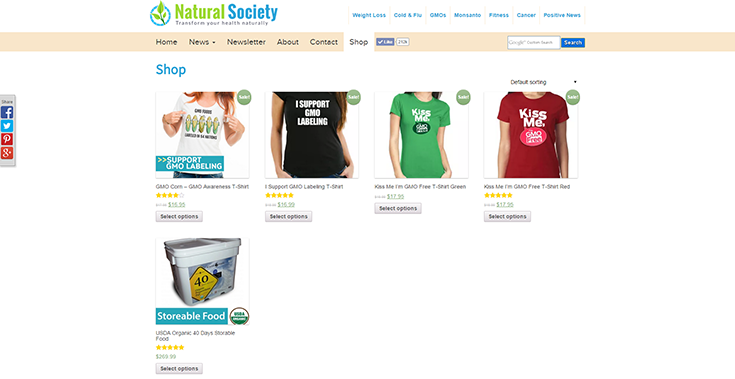 With our exclusive natural health clothing line, food options, and a growing list of awesome stuff, the Natural Society Shop is a new way to help us spread the word while also getting some high quality gear. Matching a percentage of Tony Robbins’ donation to the Feeding America foundation, Anthony personally donated 20,000 meals to United States food banks that were most in need of nutritional support. The donation was made public as Anthony encouraged followers to also help donate wholesome foods and financial support, for which the Feeding America foundation extended extreme gratitude. It had been a long journey since 2011, and it was time to change up our official logo into something that better represented our goals: natural living, self-development, and bringing health transformations. But it wasn’t until our most recent logo update in April, 2015 that we actually let our fans decide how NS would be represented. With our readers helping craft our new look, we sent the below image to our newsletter fans and Facebook subscribers asking for help. Using votes, comments, and email replies, we came up with an answer. To our surprise, more than 1,100 people voted on the future logo of NaturalSociety, and we received over 400 comments backing up the survey choices. As we told our followers, it was an amazing thing to see such a level of engagement. After the survey concluded, we ended up with the logo we have today. Now, just a couple short years later, we are extremely happy to say that NaturalSociety is now one of the largest natural health websites online. Quite simply, Natural Society was established to provide you with the latest news on how you can transform your health through effective yet natural means. We wanted to create a website that offered answers for those who were seeking them — an independent platform of reality. 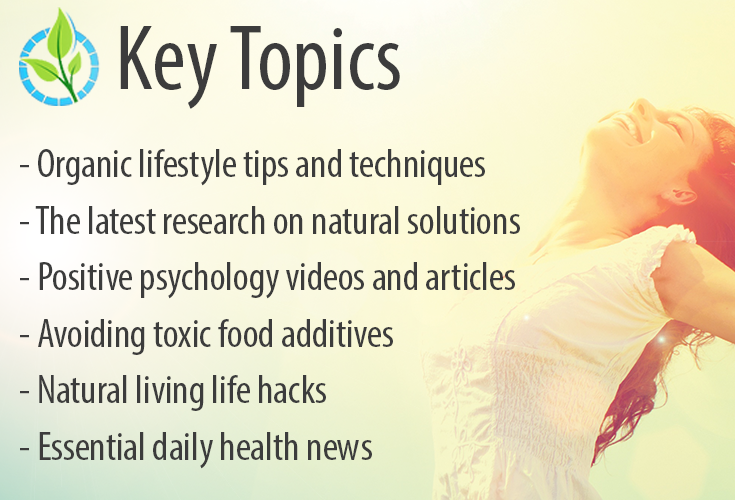 Natural Society has thousands of articles on natural health that are absolutely free to anyone, and require no subscription of any kind. From the intricate science of nutrition to the ongoing politics of health, Natural Society is here to keep you informed — and we are oftentimes the first source to predict and release vital health information that mainstream media ignores. The unfiltered truth behind the food system, as we do not ever accept payouts in any form to filter our perspective on any particular subject.